Glenn Tilbrook and Chris Difford, the men behind Squeeze, have been called everything from the new Lennon and McCartney to the godfathers of Britpop. Now, 35 years after their first record, this documentary reappraises the songwriting genius of Difford and Tilbrook and shows why Squeeze hold a special place in British pop music. Difford and Tilbrook, two working class kids from south east London, formed Squeeze in 1974 with the dream of one day appearing on Top of the Pops. In 1978, they achieved that dream when the single Take Me I’m Yours gave the band the first of a string of top 20 hits. The period from 1978 to 1982 saw the group release a run of classic singles, timeless gems such as Cool for Cats, Up the Junction, Labelled with Love, Tempted and Pulling Mussels (From the Shell) to name but a few. 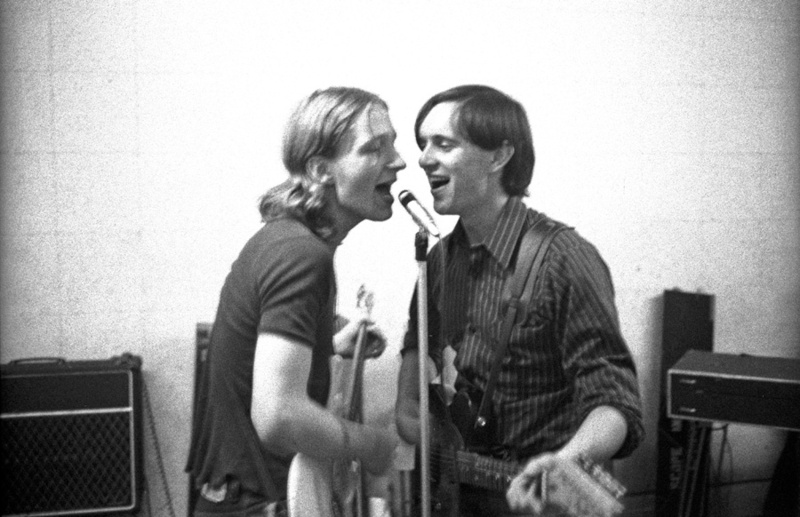 Although the line-up of Squeeze would go through various changes of personnel (another founder member Jools Holland left in 1980 and then rejoined the group in 1985) it is Difford and Tilbrook’s songs that have remained the constant throughout the lifetime of the band. The duo explain how they came to write and record many of their greatest songs. Although their relationship at times has often been tenuous at best, the mutual admiration for each other’s talent has produced some of the best songs of the past 40 years. With contributions from former band members Jools Holland and Paul Carrack, together with testament from Elvis Costello, Mark Knopfler and Aimee Mann to Difford and Tilbrook’s songwriting talent and why they deserve to be placed alongside such renowned songwriting partnerships as Lennon and McCartney, Jagger and Richards and Elton John and Bernie Taupin.